It can be easy to lose track of business appointments made, especially when they are agreed upon verbally. With this in mind, it is good practice to send a small written confirmation to the person you have a business meeting with, or to their secretary if they have one. You want this written confirmation to contain the details of the agreed upon appointment, and also to reference the conversation in which the appointment was made. It is vital that you make the confirmation letter brief, with no supplementary details - save those for the actual meeting. 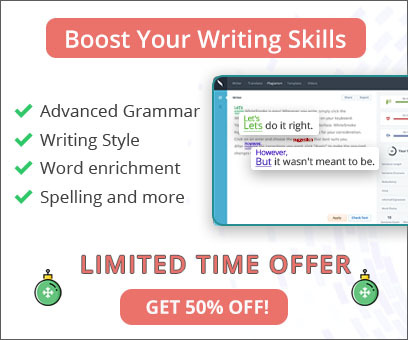 It is also essential for your image as a professional that your English writing features perfect grammar, spelling and punctuation. 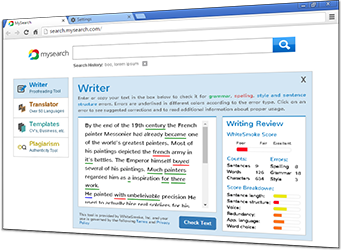 Grammar correction software is an excellent grammar tool to ensure this, and WhiteSmoke Writing Software is the most comprehensive solution available. Remember Me?? We meet at the metal worker's trade show last week, and talked about pricing for raw materials which you can give at a signifacant discount for bulk orders if we sign a contract for a period of one year or longer. we briefly talked about meeting this Friday Afternoon, so I will be at your offices at 3 o'clock sharp. I am also interested in some of your raw plastic materials and I do think I would like it alot to get some pricing on that too. We met at the metal workers' trade show last week, and talked at length about pricing for raw metal materials. I want to confirm our appointed meeting for this Friday the 3rd of April at 3pm in your office. I would also like to talk to you then about pricing on raw plastic materials.